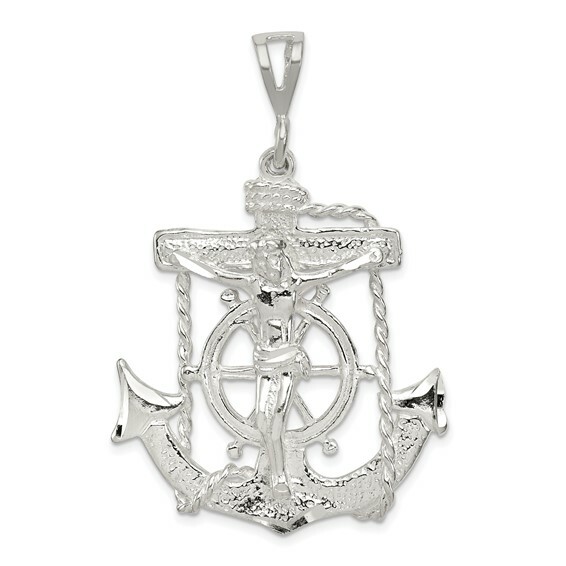 This large mariner's cross pendant is made of sterling silver. Item size: 1 1/2 inch tall by 1 5/16 inch wide without bail. Jump ring is 6mm x 4.9mm, it will fit up to a 4mm wide chain. Diamond-cut. Made in the USA. Weight: 10 grams. Shaped like an anchor, the Mariner Cross reminds us that Christ is our anchor, our hope.